Hi @alvill01 do you have a photo of the box and PowerDrive that will help members assist? There is different packaging for online purchases vs in store. Where was it purchased? 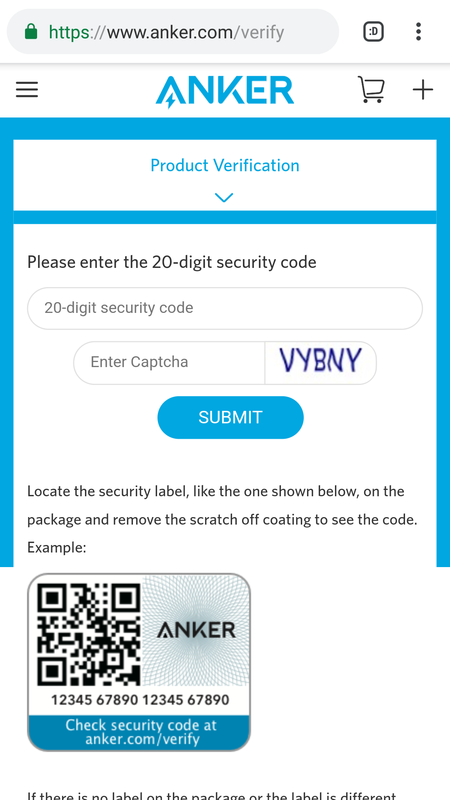 Contact @AnkerSupport via support@anker.com and give them a serial number and tell the details about where you purchased the device. They should be able to help you out. I didn't know there was a page to check the "genuineness" of an Anker (and subsidiaries) product. Having said that, all my Anker products have been sent direct by Anker on here.